Good morning, readers! I am really excited to share today’s mani with you because it’s the first freehand design I’ve done in a long time as a full manicure and worn for more than a day. After swatching the Zoya Urban Grunge Collection, I knew I had to try some of those one coat cremes for nail art. 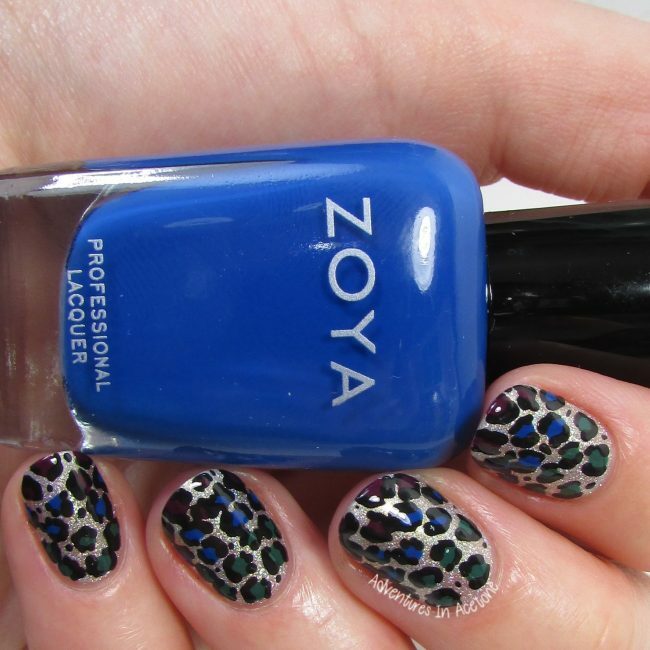 For this look, I’ve topped the gorgeous Zoya Alicia with gradient leopard print and I loved wearing it! I began with two coats of Zoya Alicia. Once that was dry, I used a small dotting tool to make dots on the nails in thirds. 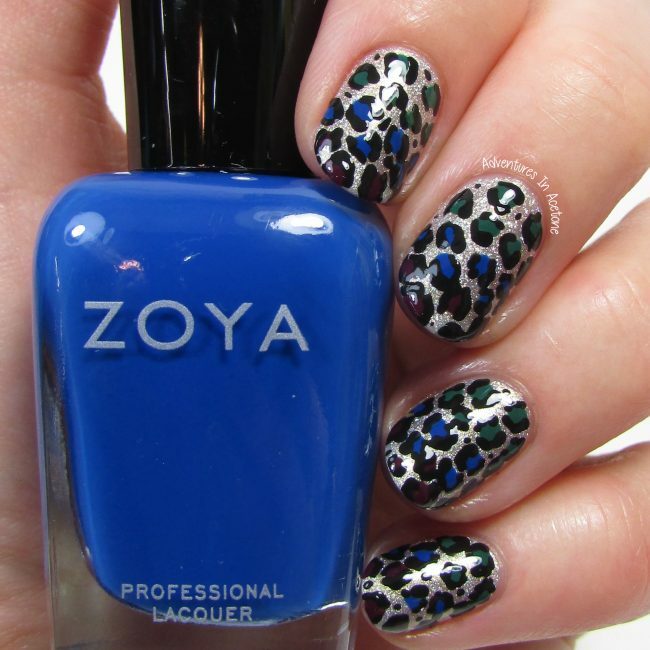 The third closest to the cuticle was dotted with Zoya Wyatt, the middle third was dotted with Zoya Mallory, and the third closest to the nail tips were dotted with Zoya Tara. Once the dots were dry, I used black acrylic craft paint and the small dotting tool to make the leopard outlines around the dots and a few tiny dots in between. I used a coat of KBShimmer Clearly on Top to seal in the design and add shine. What do you think of this look? It’s super easy and I love that all you need is a small dotting tool. 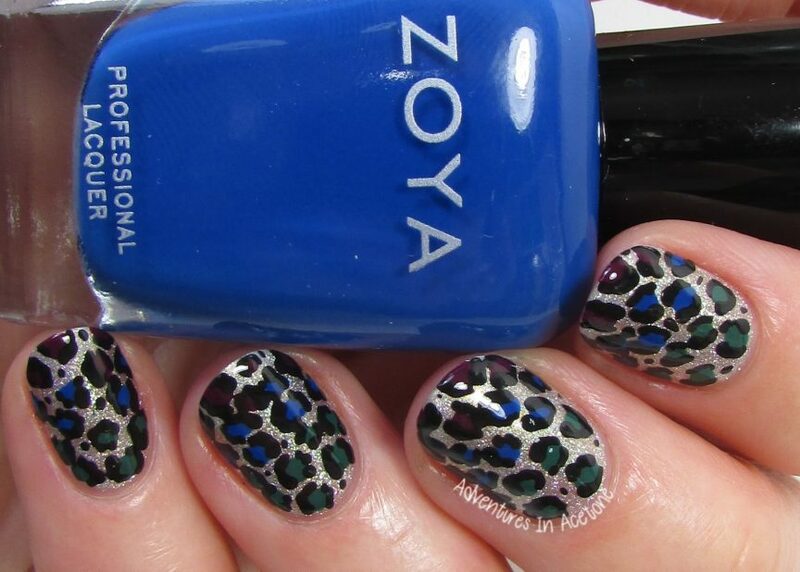 I loved the contrast between the sparkly holographic base of Zoya Alicia and the solid creme leopard print. The Zoya Urban Grunge Collection is available now on Zoya.com for $10 each. *The polishes in this post were previously reviewed with my honest opinion.